A lot of artists are drawn to art because of a desire to express themselves on their own terms, without all that added stress of you know, engaging with other humans. As an artist, your idea of a good time is probably spending countless hours alone in your studio space with only the comfort of a good podcast to keep you company. But if you don’t go out into the world, you might be missing out on some major professional opportunities that most often only emerge from IRL encounters. You’d be surprised what can come from that. When I look back on my own creative career, I can trace the path down a line of friends of friends of friends who took a chance on me, invited me to an important event and thought of me for a new opportunity. I owe everything to my IRL friendships. If the word “network” makes you cringe, then approach it from a place of curiosity and learning and people will be way more receptive to that. And even though we live in the age of the internet, there’s no substitute for creating meaningful connections in your local art community, so I’ve put together a few tips to help you get started! Phew, okay so for the first tip I’m going to go easy on you. A lot of your IRL interactions are actually going to start from the comfort of your own screen. Instagram is one of the best places to find out about similar artists, art galleries, shows, blogs, collectives and more. You’ll have to do some detective work to find out who to follow but start with checking out artists that you like and see who they are following. Same with art galleries in your city, check out who they are showing and start following them. You can also use the Explore Page on Instagram and search by different hashtags. The more you do this, the more Instagram will serve up relevant accounts. If you’re building up your Instagram feed with inspiring artists, you’re going to have to likewise step up your Instagram game so that when you reach out to them, they’ll be more likely to respond. For more tips on improving your Instagram game, go here. So once you’ve started following and discovering artists you admire, you can contact them via DM (direct message) or do some extra sleuthing to find out their email addresses. Send them a quick note to tell them you like their work and that you’d like to meet up for coffee to get some advice or set up an art critique or pitch them on a cool collaboration. Less is more here, keep your messages to 2-3 sentences so you don’t freak them out! People are usually flattered when you tell them you like their work, so lead with that! 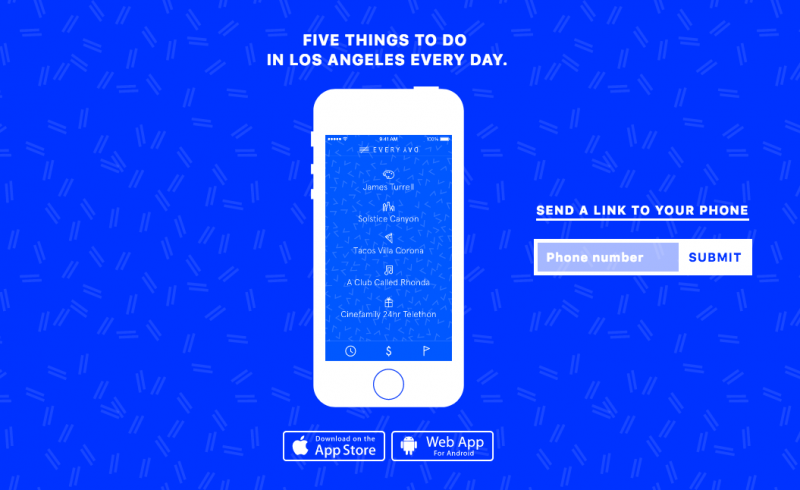 5 Every Day is my go-to app to find out about art shows and events in Los Angeles. Every day, the app serves up 5 cool events and I almost always want to check out one of them (but then I remember I live in LA and it will take the rest of the day to drive there). If you’re like me and you’re too busy to keep abreast with cool art events in your city, apps like 5 Every Day make it super easy. Pro-tip: 5 Every Day is also a super good resource when trying to come up with cool date ideas. If you just moved to a new city or you’re extra shy and unsure of how to meet people, joining a class or a club is the best way to meet new people without the fear of rejection. There are a ton of great adult education programs or art classes at local colleges or even art galleries. If you want to volunteer or contribute rather than pick up or hone a new skill, then a collective might be the route for you. There are *so* many art collectives who organize themselves around social issues, mediums, or mutual interests. You can find out about collectives by Googling or looking them up on sites like Meetup.com Pro tip: a lot of collectives run zines so a great place to start would be to check out the directory on your local zine fest. Head’s up, the L.A Zine Fest is happening this weekend, so get on it! Volunteering is a great way to meet other likeminded people and to give back. Also, giving back is probably good for your karma in general. 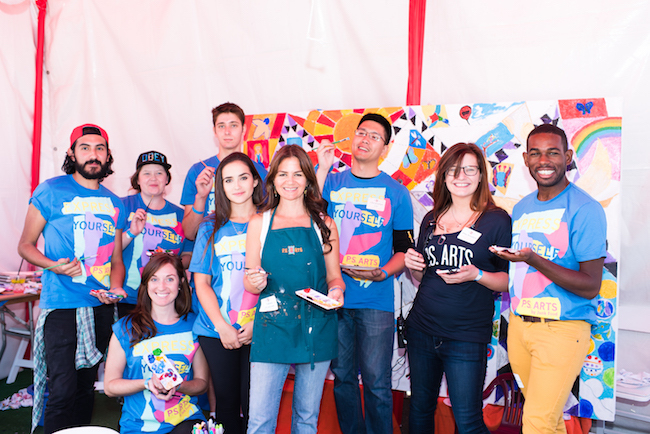 There are so many art-related volunteering opportunities in your city, whether it’s art education, art tours or volunteering at art events and markets. 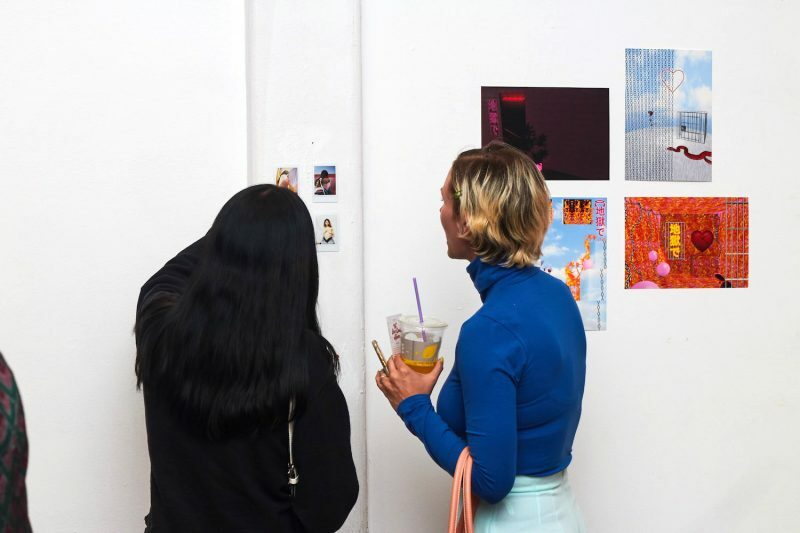 Los Angeles has so many great places for artists to contribute their time and talents, like 826LA, PS Arts, Inner City Arts, True Connection, Girlschool, and more! A lot of organizations are flexible with what you’re able to give, even if it’s just an hour a month or a pro bono project. This is one of the more intimidating tips for meeting people IRL but try going to your local coffee shop at the same time everyday. You might begin to notice the same people over time, these people tend to be artists and writers who are obviously there to get some kind of social energy, even if they seem absorbed in their work. 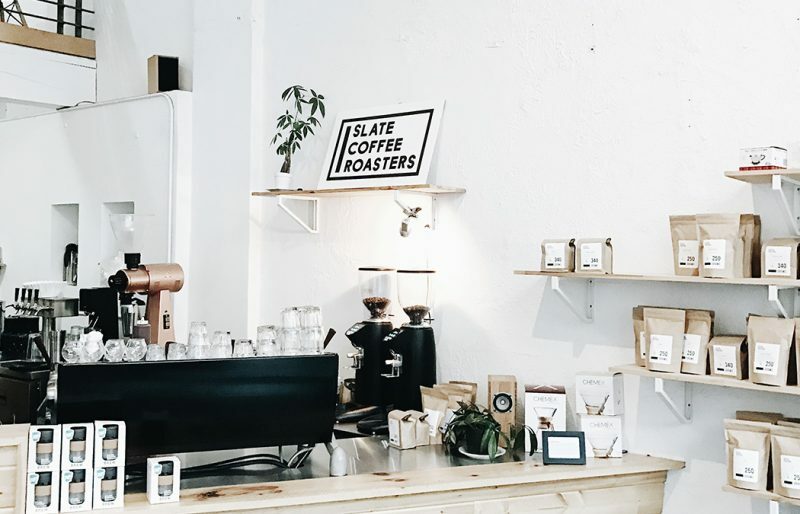 Get to know the baristas, they’re the gatekeepers of a lot of local intel, and they tend to know who is who. If you’re too scared to approach anyone, then just wait until someone approaches you, it’ll happen with time. If you live in a big city, there’s an art show happening almost every night. Art shows can feel scary, especially with the oppressively fluorescent lighting and crowds, but if you’re going to be an artist you should really make a habit to swing by art shows whenever you can. Even if you don’t know anyone, you have the perfect excuse of admiring art without having to talk to anyone around you. You’ll be glad you made the effort because once you’ve begun to establish yourself within an art scene and have a show of your own, people will be more likely to make an appearance. Same goes for art collectors and gallerists, the more you participate, the more they will remember your face (and eventually your work!) Don’t know where to begin? Make a list of art galleries in your city and check out their “Events” page and take it from there. If all else fails, stand on a busy street corner and shout: WHO LIKES ART? Jk, don’t do that. For real, being a part of a community takes a lot of work and patience, so stick with it. Make realistic goals for yourself like “attend one art show a week” and see what happens. At the very least, you’ll get a better understanding of the art landscape in your city which can help you navigate your own career. Just remember, meeting new people is scary but everyone feels the same way, if you can connect through a shared interest in art then that’s half the battle. Best of luck out there!